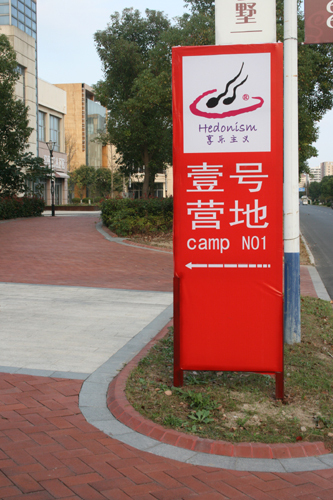 Hedonism Camp No.1 (an integrate arts district,including "art exhibition; avant-garde music, independent films, experimental theater; artists'''''''''''''''' studios; artistic creation experience project"), will be open for business, at 14:00, on October 27 (Saturday), in 2012. There will be a cocktail party for Arts District opening that day. 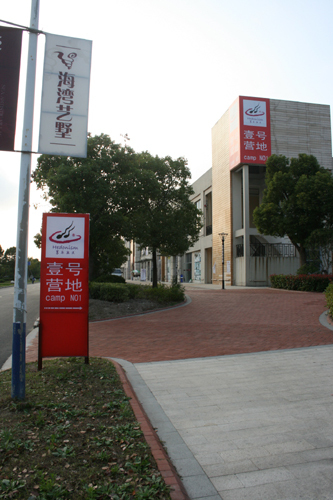 Also will be hold some exhibitions, films, music and other arts activities for your enjoyment. 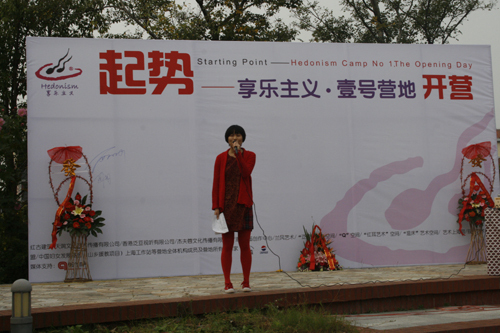 Sincerely invite you to come to visit and enjoy your happy hour in Hedonism Camp No.1. "Hedonism" originates from "artistic hedonism", which comes from a commentary written by Guan Yuda, a famous southwest Art Reviewer. 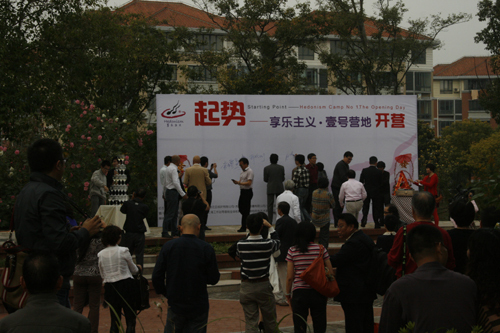 He mainly described a common regional characteristic of creative state of the southwest artists: enjoy manually create - namely artists especially feel and enjoy the pleasure brought by handmade creation.Then Lao Yang, the famous curators, developed Guan’s concept to socialization and magnification. Then put forward a theory that --"artistic hedonism" means ”the artists should fully enjoy the joy brought by artistic creation, and other various life experiences ". And then to be aimed at more class-oriented, he put forward that--"artistic hedonism" should be "Follow the way of heaven&nature; Work hard and Live seriously. Enjoy art,and highlight character; life is short, live now!" Planning to made a call to all kinds of artists, the artists enthusiasts initiative: Hold all kinds of party and fun events, meanwhile occasionally organize some meaningful gatherings to discuss social & environmental problems by doing some art actives (actual works of art or some kind of concept). So that to achieve the self spiritual experience and mental & physical relaxation. "Hedonism"is a simple assembly, communication and pure play, which do not have Standard Assembly grounds and forms. The members mostly are artists, entertainers, media personnel, the elites of the various industries, foreign industrial personnel. In short, the members are the person who like art or have a close relationship with art. Maybe today, to take a "pleasure and escaping way” to walk out, enjoy the nature and admire the culture.At least it makes us feel alive - not just for live, at least a free way of life.we care about the life!